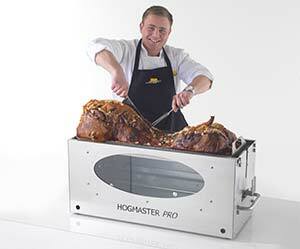 The Hog Master have been busy selling hog roast machines since the day we started, people are always in demand for excellent hog roasting machine, most of the time they come to us first for our Hog Master hog roasting machine. We must provide an excellent service and a outstanding hog roast machine; The Hog Master, that is why we are recommended the best hog roast seller out there. Over the years we have sold millions of our hog roasting machine; The Hog Master which once was mealy an idea is know a world sold hog roasting machine. I thought of creating a hog roasting machine for myself since the ones which I bought had many faults or the attachments which were on the hog roasting were pointless and simply got in the way. After getting to the creating stage I thought many other people could be feeling the same way so selling the Hog Master to many people who feel/felt the same way as me could be a great thing, since it was frustrating searching around the internet or from town to town for the perfect hog roasting machine to be let down again and again. So we decided to turn it into a selling product to provide them hog roasters or catering business out there a hog roast machine which can be perfect for them just like it is perfect for me. Since making that decision it probably was one of the best decisions I have made. Since we have been in business for 10 years now and we have been expanding our hog roasting business ever since. 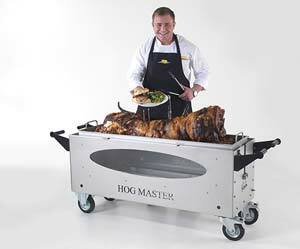 Selling millions of our special hog roast machine; The Hog Master each years and each year we get more sales and more customers. We sell to customers all over the UK and have sold to some customers other countries too. We can’t believe how much of a success the Hog Master has become in a short space of time. We now look to the future of expanding the Hog Master and making new accessories to enhance the roasting of different meat as well as the delicious hog and making improvements to the Hog Master Hog roast machines. We hope our business will become more popular in the UK and more known in countries outside of the UK. We never could have imagined that the Hog Master would become such a success.